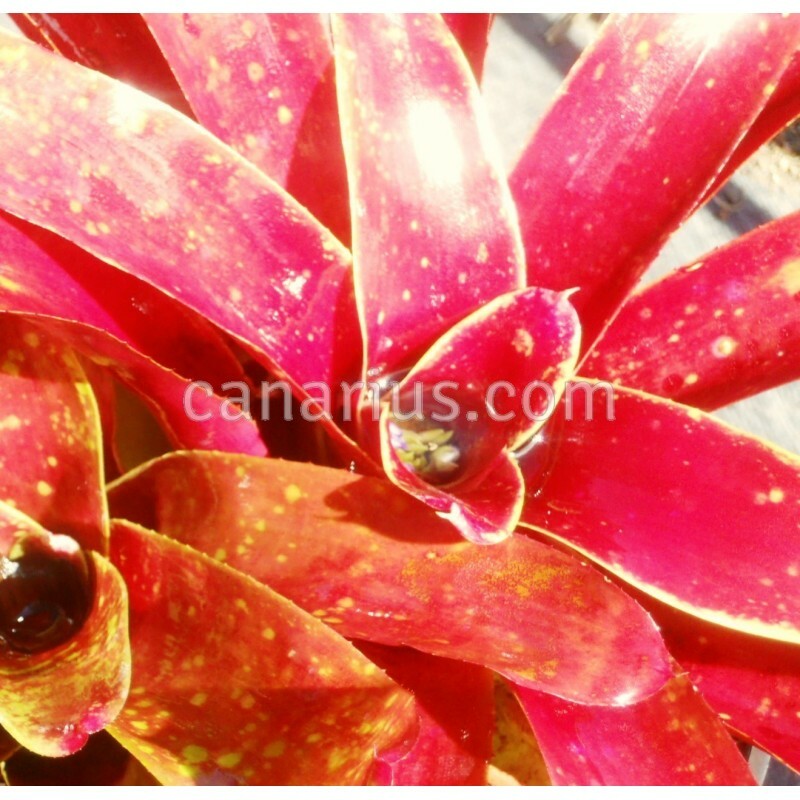 Bold small sized hybrid which keeps interesting colours in all conditions, but look in our picture how it colours up in full sun in early March! 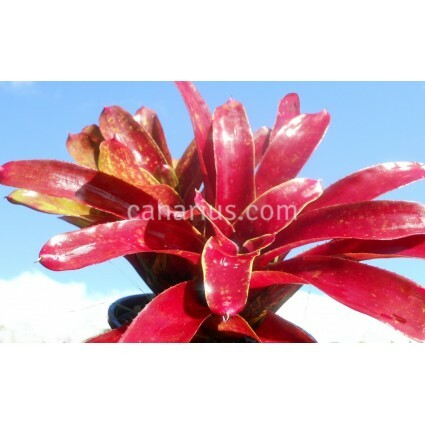 We offer one large rooted pup of Neoregelia x Green Apple x Fireball , of 15-25 cm, able to flower in one year. We ship it worldwide.